In 1981, prompted by the discovery of high levels of polychlorinated biphenyls (PCBs) in harbor sediments, Waukegan Harbor was designated as a Superfund site (see Superfund Process) and independently named as one of 43 Areas of Concern* (AOC) on the Great Lakes by the International Joint Commission, U.S. EPA and IEPA. The harbor was identified as an AOC using protocols developed by the United States and Canada under the Great Lakes Water Quality Agreement of 1987. 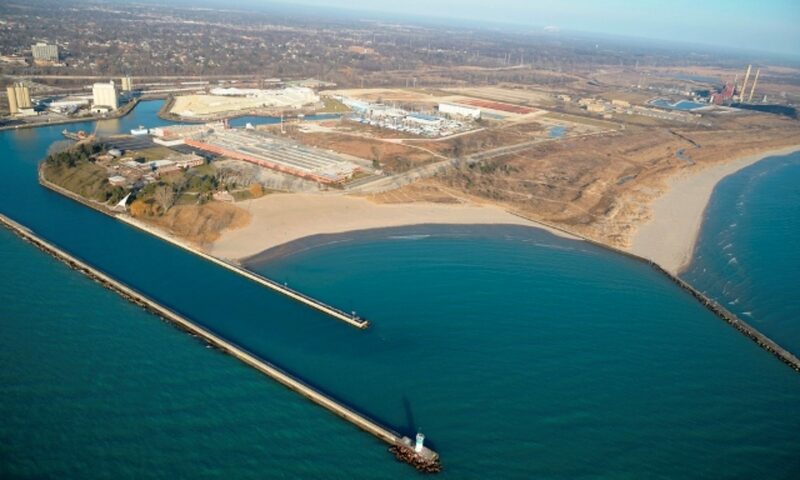 The Waukegan Harbor Citizens Advisory Group (CAG) was formed by the Illinois Environmental Protection Agency (IEPA) in 1990 to assume a leadership role in developing a remedial action plan (RAP) for the Waukegan Harbor AOC. The harbor at one time had the largest known concentrations of PCBs and PCB-contaminated sediments. In addition to reducing contamination in the harbor, the CAG also worked with state and local government officials to deal with the open dumping of litter, garbage and tires, and has worked to identify older commercial properties that are candidates for redevelopment. The CAG received a Great Lakes Restoration Initiative (GRLI) Grant to restore portions of the Glen Flora Ravine and the coastal habitat located south of Illinois Beach State Park to the City of Waukegan public beach. The membership of the CAG is representative of diverse community interests. CAG meetings provide a public forum for representatives from business, education, government, industry, environment, civic and recreation interests and the local citizenry to present and discuss their needs and concerns related to the decision-making process at the Waukegan Harbor AOC. The CAG has spearheaded the implementation of the RAP. See: Waukegan Harbor Remedial Action Plan Final Stage iii Report 1999. In 2013, the final environmental dredge of Waukegan Harbor was completed thanks to the efforts of staff at the US and Illinois EPA, local, state and federal elected officials, representatives from industries located around the harbor and from the efforts of residents who were committed to seeing that the cleanup would meet rigorous environmental standards in order to protect the public. As of January 2018 , the Waukegan AOC is two thirds of the way through the Beneficial Use Impairment (BUI) delisting process and well on the way to being declared an Area in Recovery. The Waukegan Harbor CAG will continue to work with local, state and federal agencies to assure that the remaining contaminated sites located along the Waukegan lakefront are remediated and the remaining BUIs are delisted. The CAG will promote stewardship of the lakefront and work with others to protect this great asset for the people of Waukegan, Lake County and Northeastern Illinois.